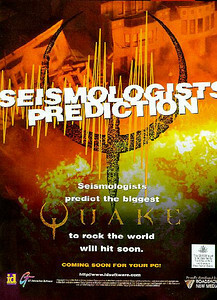 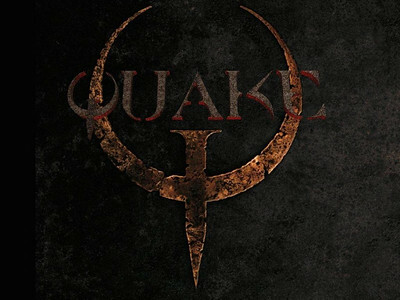 This was a European Quake ad run in 1996. 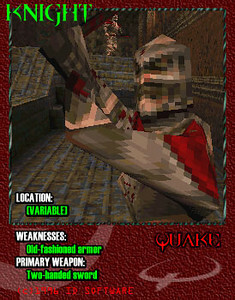 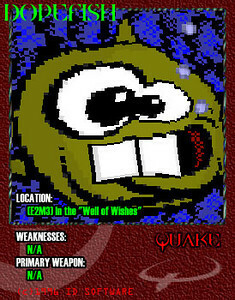 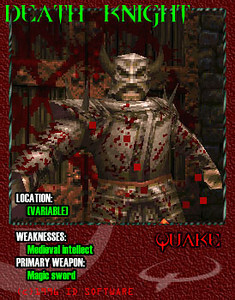 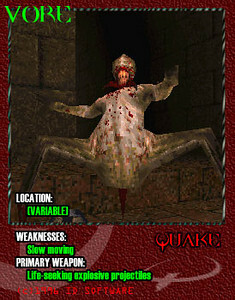 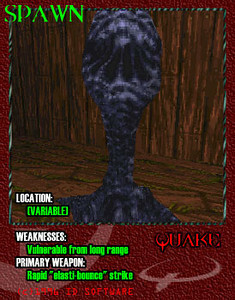 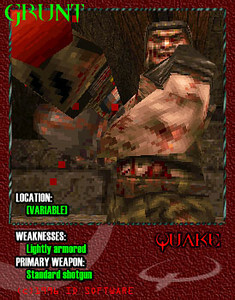 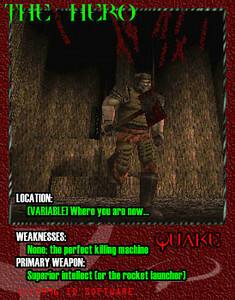 Someone made a bunch of cool Quake cards for each of the enemies in the game. 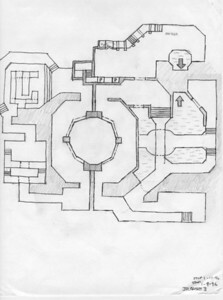 My original sketch of DM3: The Abandoned Base. 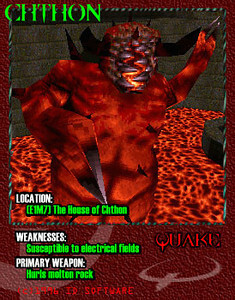 Several aspects changed as I built and iterated the design as I played it, but most of it is similar. 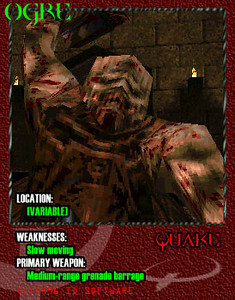 My original sketch for E1M1, the first map in Quake. 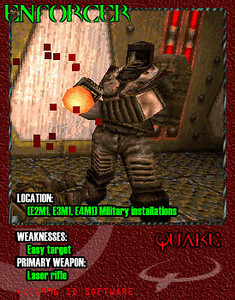 This was on my pad of paper where I listed myself as Project Specialist because I did so many different things on our games. 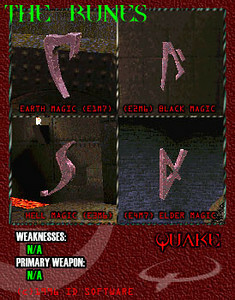 The original filename of E1M1 was jrbase1. 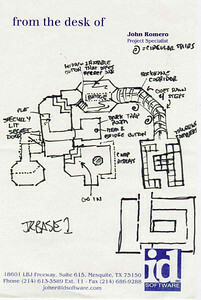 This map is for the inside of the base. 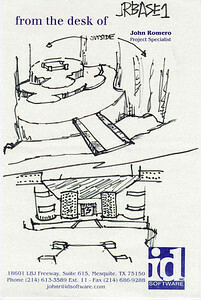 Other sketches cover the outside area. 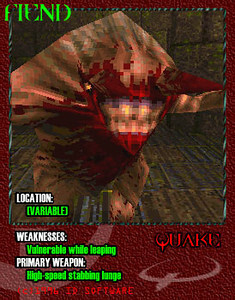 Originally, I was going to start you outside after you step on the slipgate in the Start map. 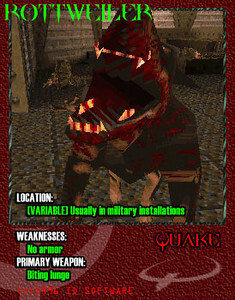 I decided to start you inside a base-themed area so you'd have a little bit of indoor time before seeing the outdoors. 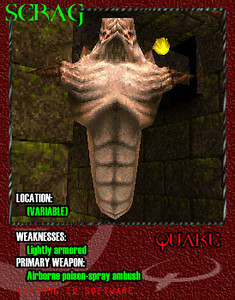 I could also show off some jumping and more of the 3D aspects of the design. 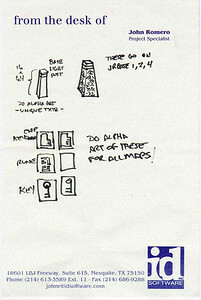 These are the concepts for the light pylons I created for this level. 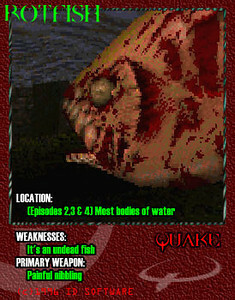 I don't think they were used anywhere else in the game. 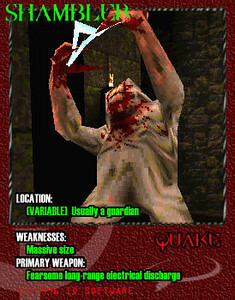 Also, there are keycard concepts here, too. 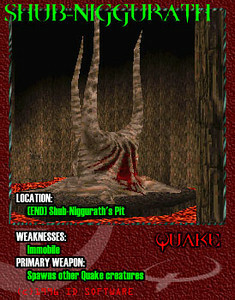 This is a closer look at the original idea of the slipgate destination pad. 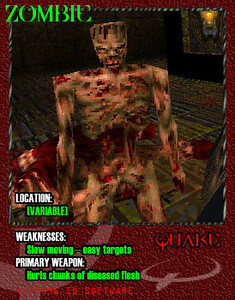 Instead, I started you inside a base section. 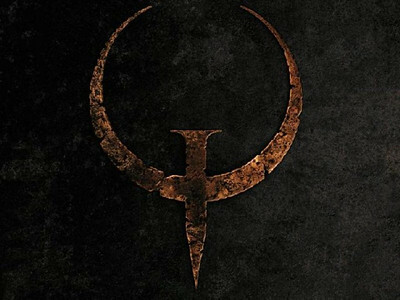 That pad is really where the elevator lands at the start of E1M1. 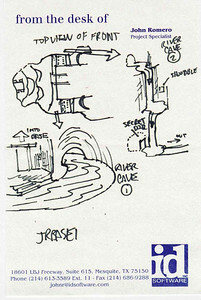 The drawing at the bottom is the view you should have of the entrance to the base.